The Office of the Data Protection Commissioner has said it is satisfied that AIB acted in accordance with best practice in the steps it took to notify the Commissioner regarding a data breach at the bank. Documents containing account details of around 550 customers were lost in Galway at the end of last month. AIB informed the Data Protection Commissioner about the matter on 5 September. The bank outlined the steps it had taken to try and retrieve the information and detailed the measures that would be taken to notify the affected individuals and businesses. The Office of the Commissioner says this was in accordance with best practice when it comes to data breach notification. It is understood that no further investigation into the matter is underway at this stage. 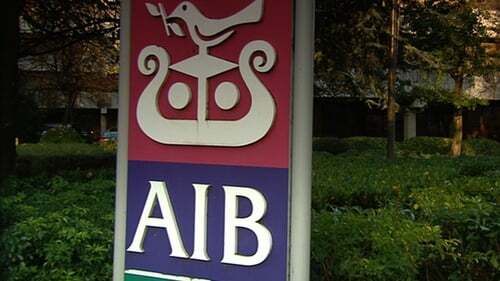 AIB has written to customers whose details were contained in a spreadsheet, which had been printed ahead of a scheduled meeting to discuss "branch portfolios". Names, balance details, fee data and internal codes were among the information printed out. A staff member "mislaid" the hard copy of the data while travelling between two branches on 31 August. A number of those affected were customers at the An Spideál branch of AIB. The bank issued a statement this morning confirming the loss of confidential information and apologising to those customers whose details were "mislaid". In the statement following queries by RTÉ Raidio na Gaeltachta, AIB said it had taken every possible step to locate the lost data but it has not been retrieved. The bank confirmed that "some confidential information relating to banking facilities was mislaid". It is understood the majority of the material related to account holders around Co Galway. AIB says it has contacted all customers affected to "explain the matter and to apologise unreservedly". The bank told customers that their funds cannot be accessed by anyone who may have come into possession of the lost documentation. Address and contact details were not included in the data that is missing.